A wobbly table and picture menu make us more than happy when searching for places to eat. 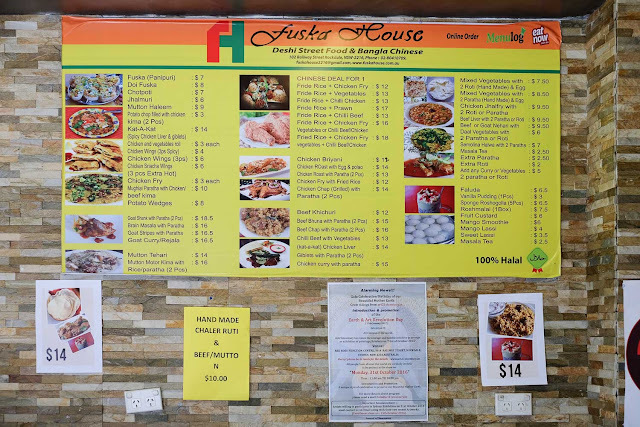 Throw in some Deshi street food, some spiced chicken livers and a plate of Bangladeshi fuska and you have yourself a B-Kyu bingo winner at Fuska House in Rockdale. 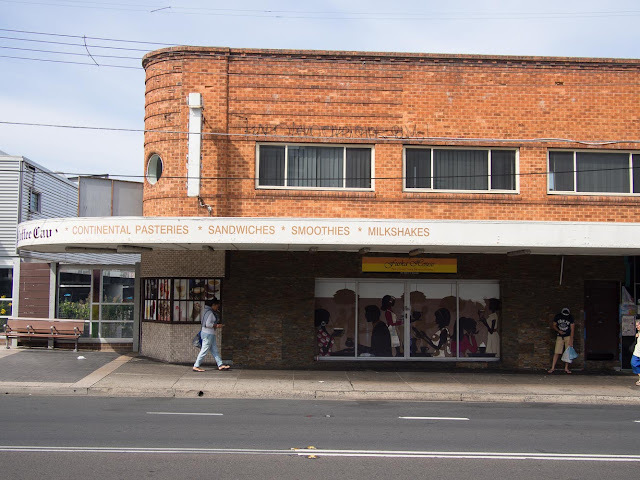 Alongside the railway line in Rockdale is an extraordinarily narrow 1920s red brick building. 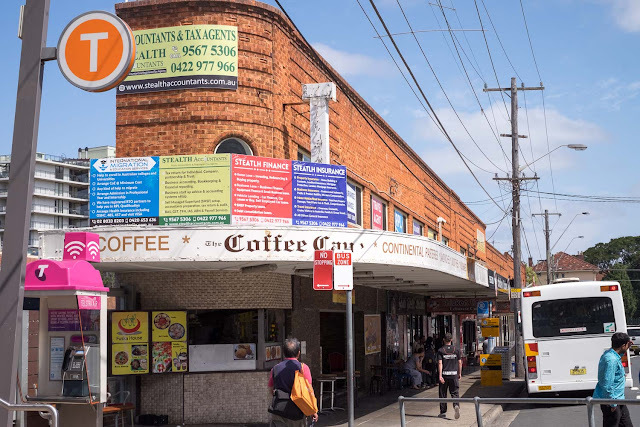 Once home to The Coffee Cave at it's curved, narrowest end it now houses a series of restaurants from Bangladesh, roast chicken takeaways and a large Indian and subcontinental supermarket. Fuska House has taken up residence at the pointy end where coffees and continental cakes once flowed, Rockdale is home to a number of Deshi restaurants (desi or deshi is a name for Indian, Pakastani or Bangladeshi expats) mostly clustered around Railway Street. 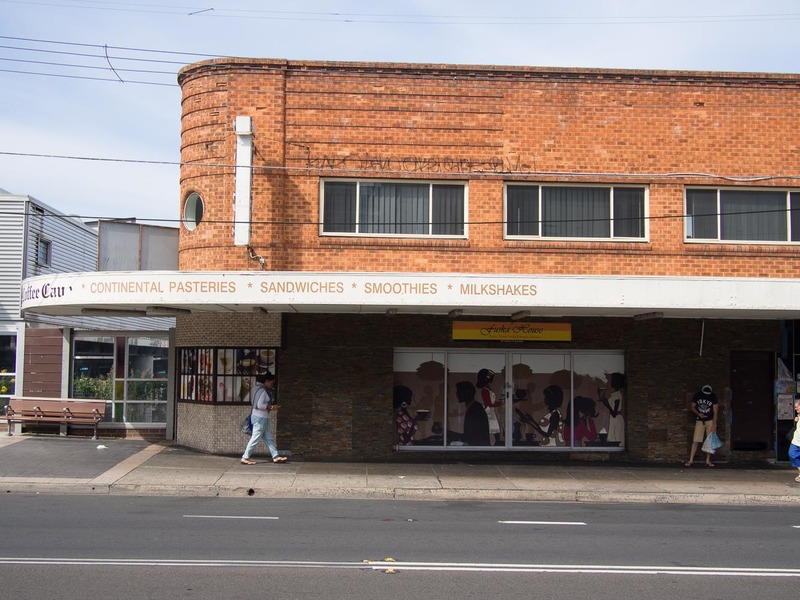 The first time we came here and sat down on the ex-reception centre chairs around little flower patterned plastic covered card tables, all a little rickety and wobbly, we shared a little smile. 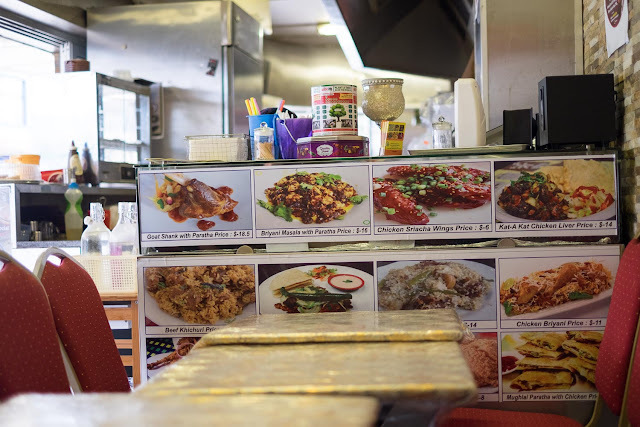 We were surrounded by pictures of great looking food, a view into the small kitchen and a busy pathway just an arms length away. It was just the environment we love, classic B-Kyu, and we hadn't even started on the food yet. When we have eaten here the food is served and prepared by just one lady who commands the narrow kitchen. It is usually quiet on a weekend afternoon so there's no hurry. We hit our taste buds up hard with Kat a Kat, chicken liver and giblets ($14). 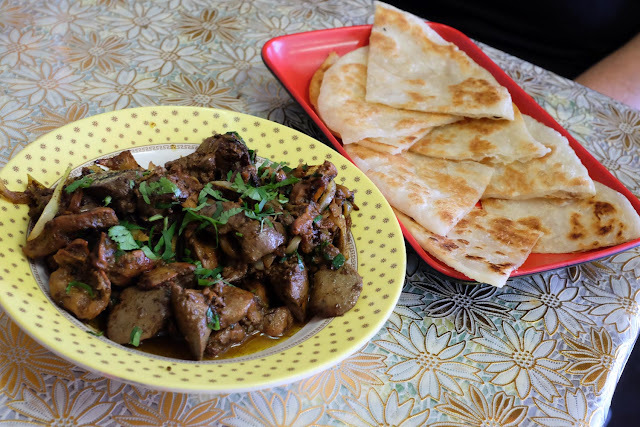 Whole pieces of liver and giblets (a piece from the neck of the chicken) are cooked in warm spices, not too much chilli, and enough oil to help carry the flavour on to the paratha. 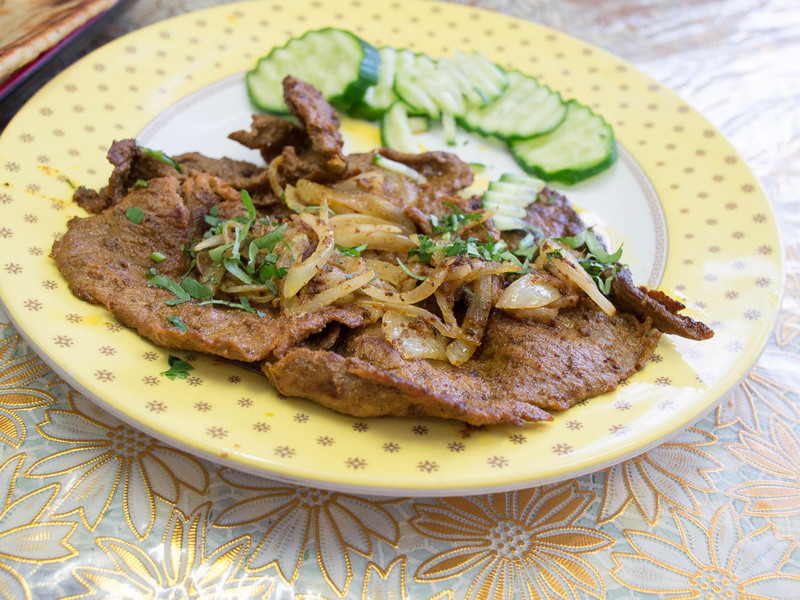 If you haven't tried chicken livers in their whole state, don't be afraid - they're not too strong and you'll be converted. 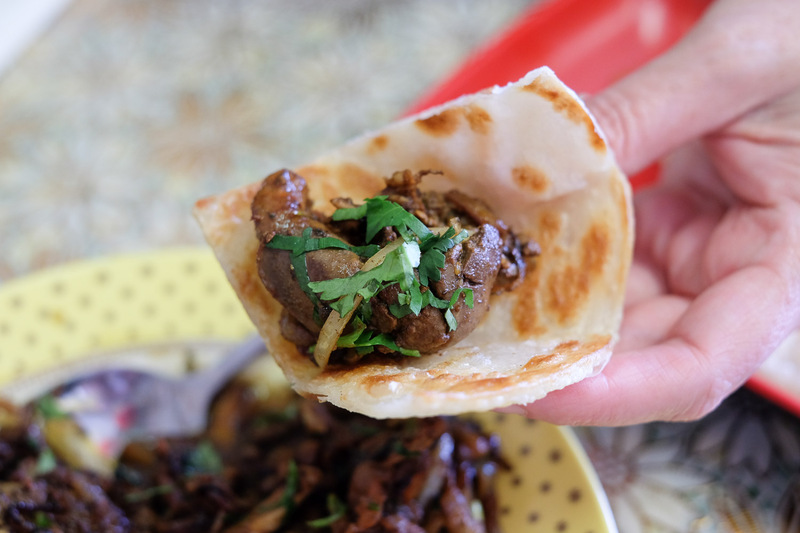 Scoop up a little bit of liver onto the paratha and scoff. 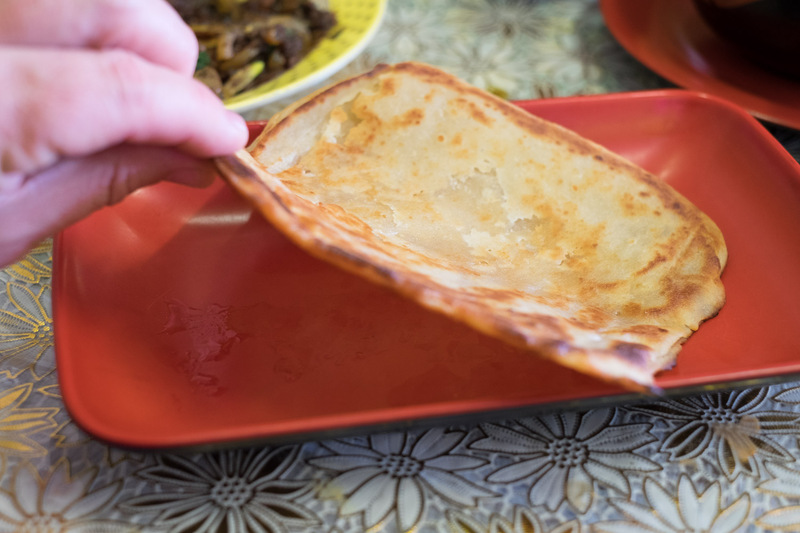 The paratha is fried up to order, if you need more after over exuberant liver scooping then just ask. 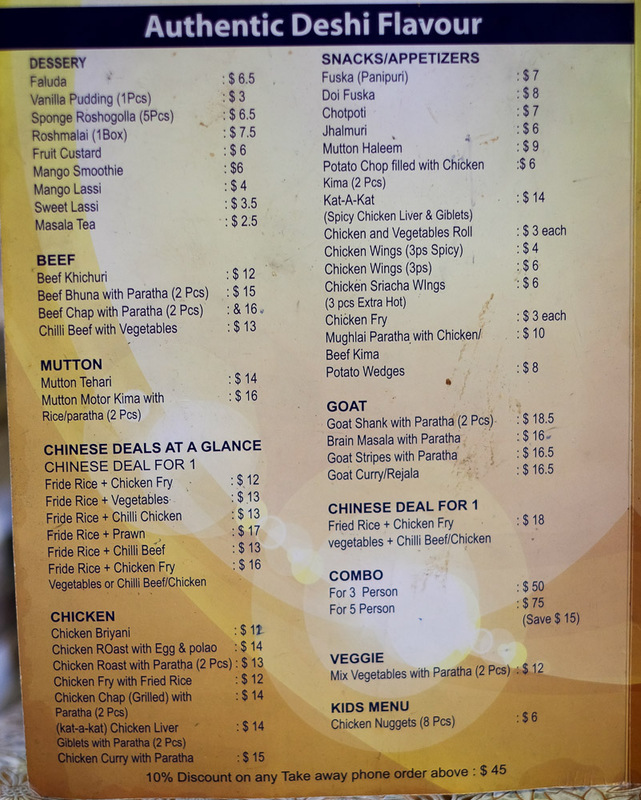 If you need something a bit more regular meaty, then the Beef Chap ($16, with two paratha) might be more your choice. A piece of beef is flattened, spiced, pan fried and covered in soft cooked onions. 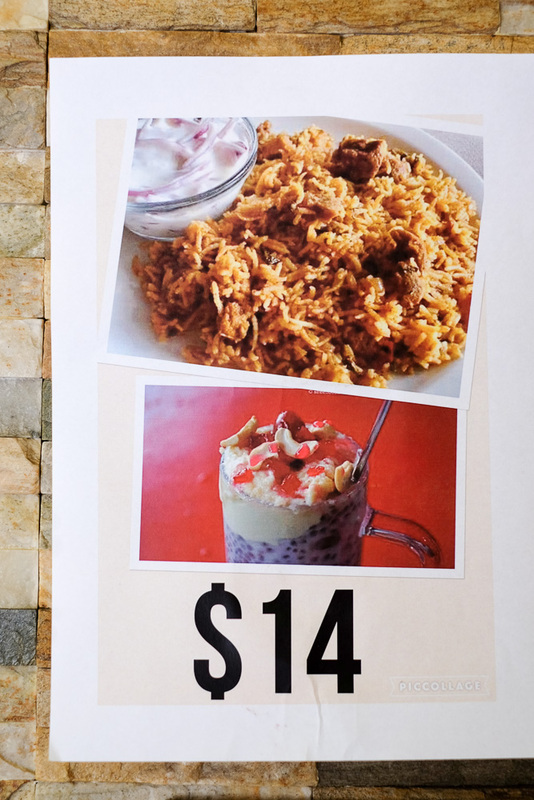 A familiar looking comfort dish with a Bangladeshi twist. 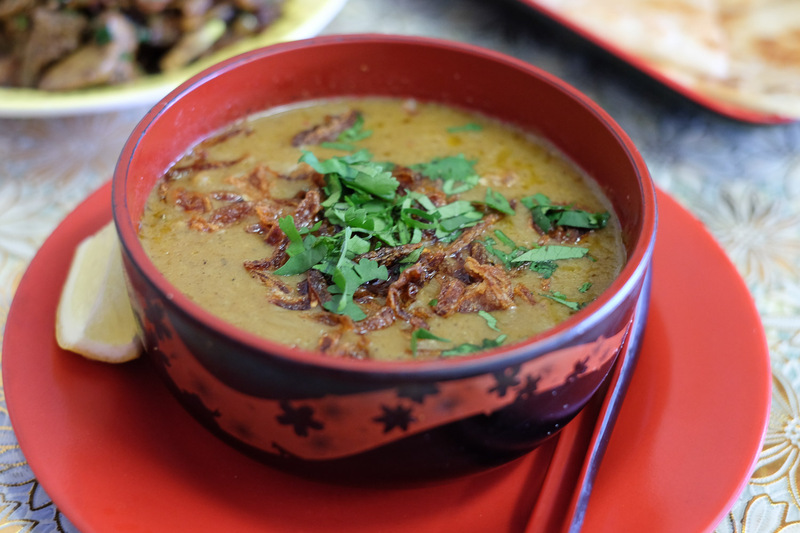 We are big fans of haleem, the king of curries, especially from Faheems in Enmore. 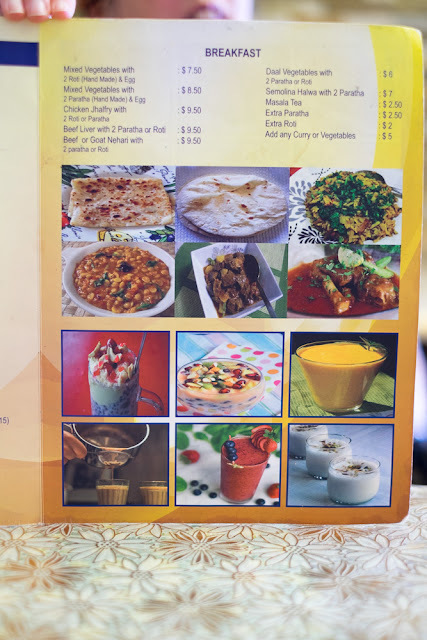 This version ($9) is made with mutton, with small pieces left in the mix instead of one super smooth lot and has the warmth from the spice and the comfort of the soft cooked lentil texture that makes this curry special. It's not quite soup, not a sauce, but sits comfortable between. 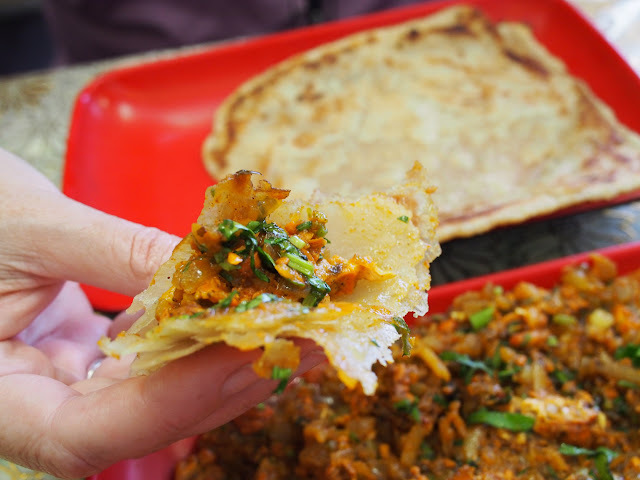 Again, a winner with a dunk of paratha. 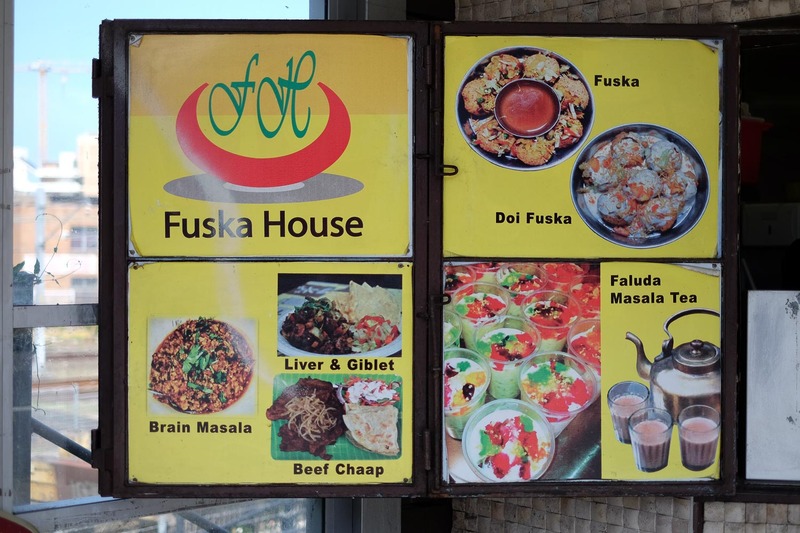 Because this is Fuska House, it was necessary to try the Bangladesh version of pani puri known here as fuska. The inside is filled with a mix of cooked beans and sprinkled with fried noodles (sometimes shredded egg). 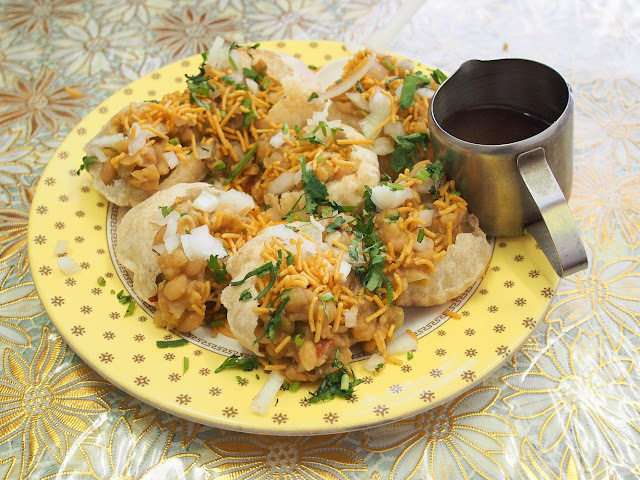 Served with a small pitcher of tamarind water, a little is poured over the top of one and then popped into your mouth whole. $7 for six. 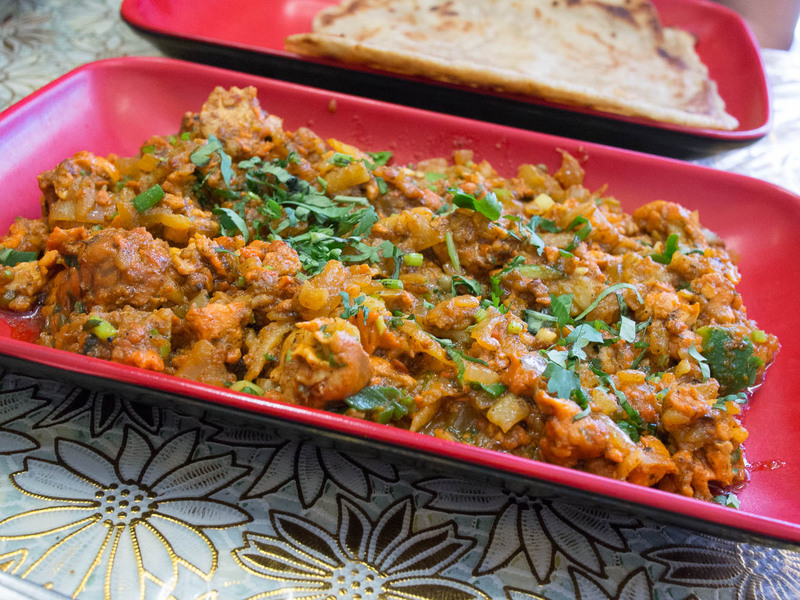 If you've made it past the chicken livers, then it might be necessary for you to move on to the brain masala, served with paratha ($16). Brains are soft and almost silken tofu like in their consistency in this dish, they have been chopped into small pieces so you really can't see what you see in your mind when you think of your cerebral matter. They are satisfying in the textural smoothness and the spices give them less of a stand out flavour, it is mostly a gentle hit of chilli here. 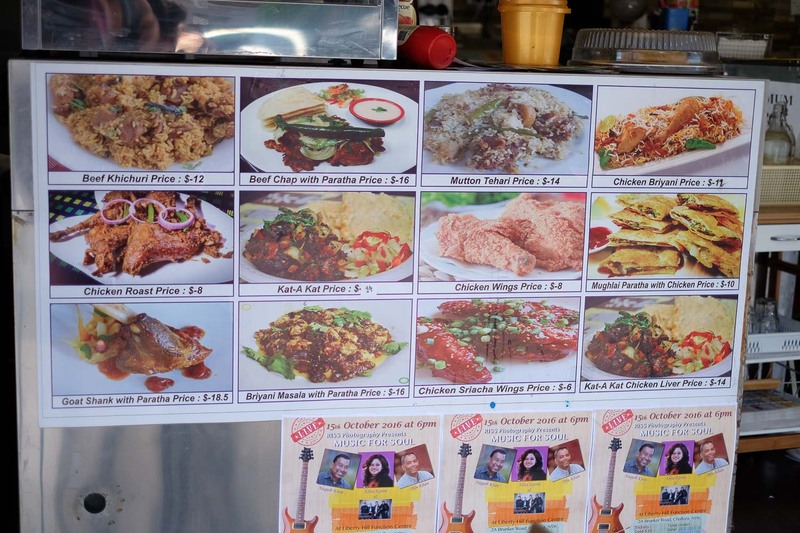 We last tried these at Banoful, then around the corner at Rockdale but now in Lakemba, and loved trying this dish again. 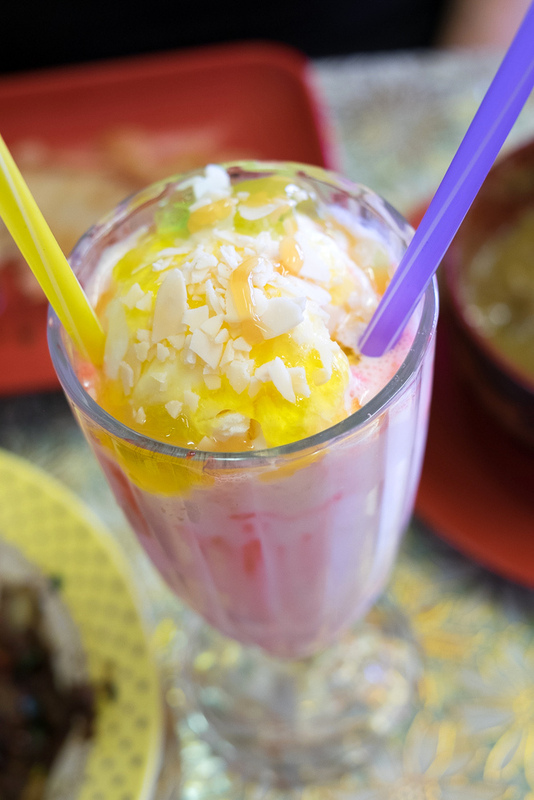 The faluda here is cool and sweetly pink, it is mostly a pink milky drink without a lot of the noodle or other innards but it cools as it is meant to. 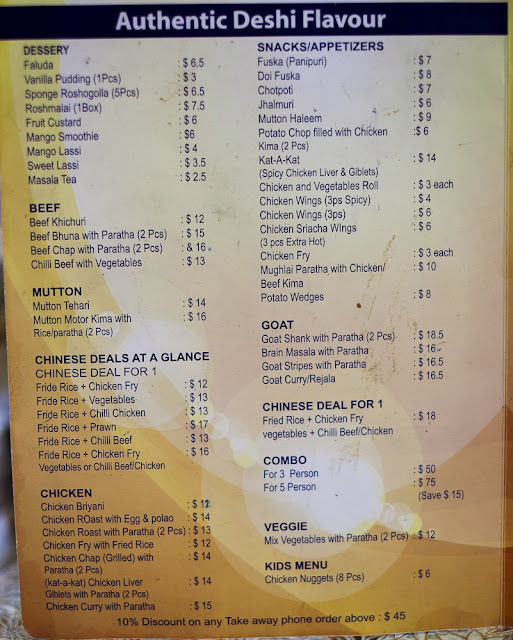 From the menus below, there is a whole other area of Chinese Bangladeshi food we want to explore further, as well as an extensive breakfast menu. 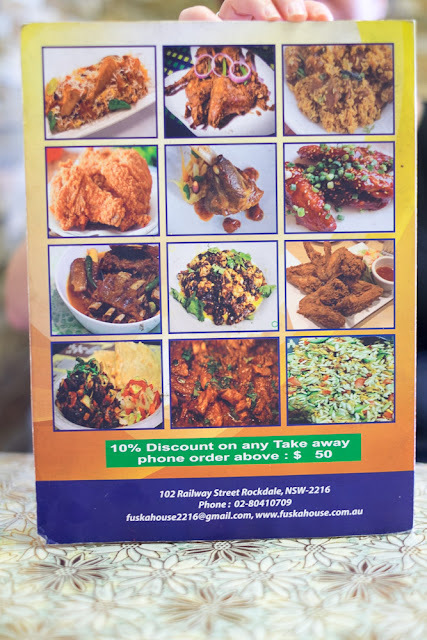 Fuska House is at 102 Railway Street Rockdale, right next to the train station on the Railway Street side. Phone 8041 0709.